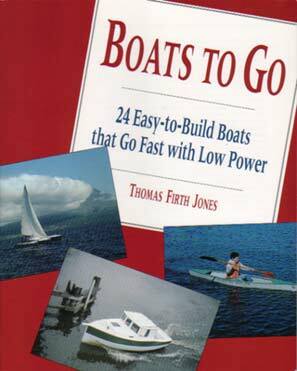 BOATS TO GO (first edition titled LOW-RESISTANCE BOATS, IM, softback, $21.95) Covers the designing and building of fiberglass, wood and plywood boats for paddle, sail and power, by somebody who does all his own thinking, says Phil Bolger. 24 boats are discussed, and complete plans are shown for seven of them. 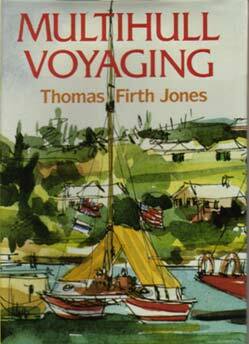 Description and sailing techniques, in fair weather and foul, of cats, tris, and proas. Charmingly written as well as illustrated, both amusing and intelligent, an excellent buy for the beginner or the enthusiast, says Multihull International magazine. NEW PLYWOOD BOATS, AND A FEW OTHERS (Sheridan House, softback, $19.95) A sequel to BOATS TO GO, covering 19 boats built or designed in the last 10 years, with plans for 6 of them. Most are plywood, by various techniques. Many new insights, and two special chapters, one about Phil Bolger and the other about details (tools, and making spars, cleats, and hardware). *This book price includes postage.